Create your personalized day-to-day itinerary by adding tours on this page into your basket. Please specify the meeting place, desired date/s and starting time/s of your tour/s at the end of the tour request. You can also write or call us directly and we will prepare a customized itinerary for you. 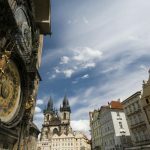 Do you want see the major Prague sights from a unique perspective? 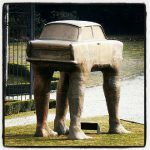 Follow in the footsteps of controversial David Cerný, the most famous contemporary Czech artist whose provocative art adorns the streets of historic Prague. 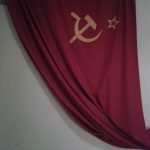 Learn everything about communism in Czechoslovakia and explore major sights in Prague connected to 41 years of Communism. 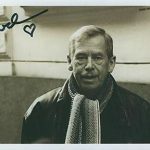 Learn about one of the most influential Czechs - former president Vacla Havel and events leading to the fall of Communism in Czechoslovakia. Travel 10 centuries back in time and explore all architectural styles - Romanesque, Gothic, Renaisance, Boroque, Classicism, Historicism, Art Nouveau, Cubism, Functionalism and Social Realism, etc. 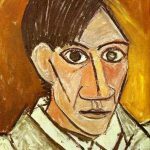 Explore Prague´s most amazing museums and galleries featuring masterpieces by Pablo Picasso and other famous masters. 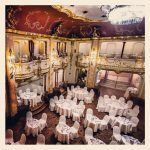 Take a step back into the 18th century, when Mozart lived, as the musicians don period costumes and the food harkens back to Mozart’s time. The sounds of pieces from “Don Giovanni,” “The Marriage of Figaro” and “The Magic Flute” will soothe you as you whet your appetite with Tyrolean dumplings and Viennese onions plus cake with nougat and apple pie. Discover the secret of handmade glass. 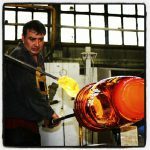 Visit the birthplace of Swarowski and try out traditional glass blowing and winding beads yourself! Driver-guide services. Choose your own pace. 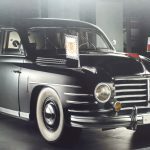 Prague - Skoda Factory & Museum day trip. 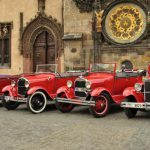 Private guided tour from Prague to the Skoda Facory and other sights along the way - UNESCO town of Kutna Hora & Bone Church or the Terezin Concentration Camp. Explore the lesser-known secrets of magical Prague as you walk through hidden alleys in the Old Town. Are you planning to bring your class to Prague and the Czech Republic as part of a school program? Do you want to stimulate and educate your pupils on an exciting school trip? 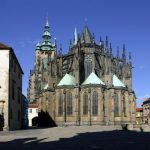 Visit the 12 Czech wonders of the world - UNESCO sites. Do you want to relax from walking down cobblestone streets? Are you a fan of vintage cars? Then this tour is perfect for you. 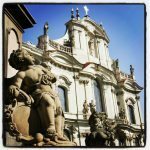 Unique Protestant, Catholic or Jewish heritage, all that is Prague! After more than 1000 years of religious struggle Prague has kept some of Europe´s most compelling churches intact.